In October 2017, the Thai Ministry of Education visited the Tufts Center for Engineering Education and Outreach (CEEO) to learn about the Center and invited us to participate in the 2018 International Science, Mathematics, and Technology Education Conference (ISMTEC). 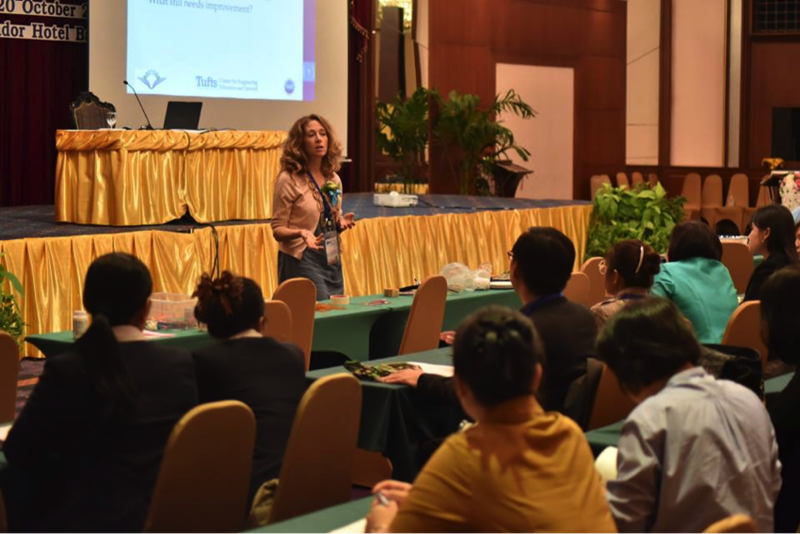 A year later on October 17th, Elissa Milto, CEEO Director of Outreach, traveled to Bangkok to present at the conference that was hosted by the Ministry of Education and the Institute for the Promotion of Teaching Science and Technology (IPST). The following week, she led a two-day workshop for IPST staff at their center. Physics teacher, science department chair, and robotics coach, Pete Erbland recently got the chance to reflect on the breadth of engineering curriculum the Teacher Engineering Education Program (TEEP) helped him bring to the classroom. 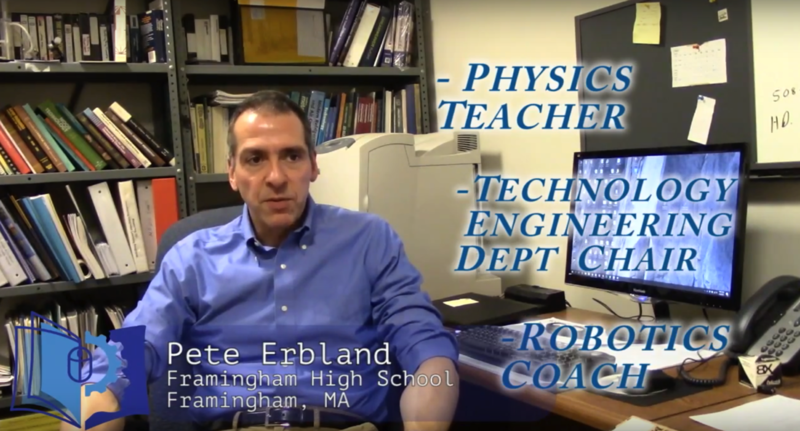 Pete not only found the program to help him expand his teaching repertoire but found it connected him to his students as he was once again thrown into the student role. First apprehensive about the online course format, Pete found this setup to actually enhance his learning. This class gave him the opportunity to connect with teachers from all around the world and collaborate on problems like “How much weight can a standard paper grocery bag hold?”; a question that he was later able to share with his students.